T.N Godavarman Thirumulpad who had opened, the new jurisprudential arena of private forests conservation and protection has passed away yesterday .The octogenarian ,aged 86 years ,suffered a cardiac arrest at his residence at Nilambur, and succumbed to death at around 06:00 pm. He belongs to the Nilambur Kovilakam. At a time , when conservation and protection of ‘forests’ were unheard and undefined in any of the Indian acts, Mr Godavarman knocked the doors of apex court in 1995, seeking to prevent illegal felling of trees in Nilgiri Hills. The issue pertained to Gudalor area, which once belonged to Nilambur Kovilakam. The apex court taking cognizance of the matter ordered that all non-forest activities ,like sawmills and mining to be suspended in forest areas and further retrained felling of such trees from those areas. The case which was a measure to prevent the illegal felling of timber, later evolved to be the criteria for determination of Indian Forest Policy. The apex court, gave the nomenclature of TN Godavarman case and continues employing the writ of mandamus ,in matters pertaining to the implementation of Forest Conservation Act. Through the Judgments of TN Godavarman Thirumulpad, the Supreme Court created itself a new jurisdiction to deal with forest matters, excluding lower courts to entertain such applications. The situation remained as such, till the establishment of National Green Tribunal in 2010. 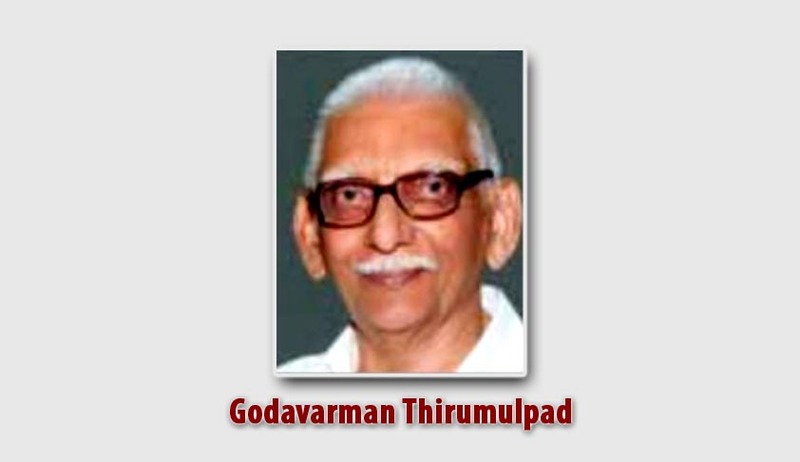 Many environmentalists , law students and other noted non- governmental organizations owe a deep sense of gratitude and applauds the efforts made by T.N.Godavarman Thirumulpad which had paved way to the protection and conservation of the remaining forest cover of India.The works of Sri T.N Godavarman Thirumulapad , further assumes a larger significance in recent times, with the environment minister,Mr Prakash Javedkar calling for a statutory definition of the term ‘forests’ which still remains undefined under any of the Indian laws, to be formulated soon. Though various sensational Judgments were delivered in his name , and country having debated over the same , Mr T.N Godavarman Thirumulpad chose to remain as an unassuming character and lived a life far away from the spot light . At the time of his death, he was the receiver of his ancestral properties at Nilambur, and the President, of Nilambur reading and recreational club. He is survived by his three children. Mr T.N. Godavarman Thirumulpad, has family links with Mr Devan Ramachandran , Senior Advocate, High Court of Kerala, through his wife Mrs Sukanya Devan , who belongs to the Nilambur Kovilakam. We at Live Law express deep condolences to the departed soul.